Hi everyone! I have a kinda big project to share with you today, so let's jump right into it! This all started with the idea that I would make a swatch book in My Digital Studio of all of my favorite cookie recipes for some Christmas gifts. Then, I had the crazy idea that there needed to be a sample of each cookie to go with the recipe book. Who wouldn't love that?!?! 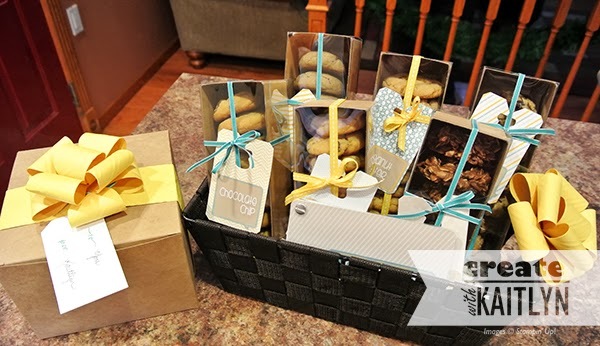 In the picture above, the Extra-Large Kraft Gift box is meant for an individual (with two of each cookie) and the basket is meant for a family (with about eight of each cookie). On a side note...I was working on last week and as you can see our dogs got into the cookies. They ate about two dozen cookies. I wasn't so happy, but fortunately I had more dough in the fridge, so it wasn't too bad to make more. So my one tip for this project is to keep it out of the reach of the dogs. The tags were also made in MDS and then cut out with the Chalk Talk Framelits. I used some matching Daffodil Delight Stitched Taffeta Ribbon and Bermuda Bay Taffeta Ribbon on both the bags and boxes. 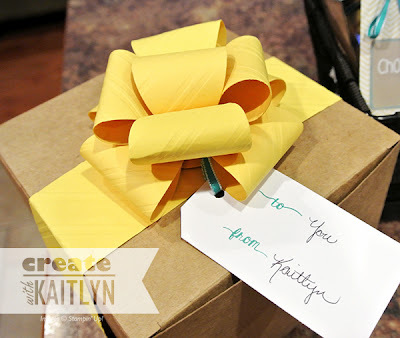 Lastly, the bow was made using the Gift Bow Die. I used four of the double loop part and one single loop part. I found it easiest to assemble the bow with hot glue. 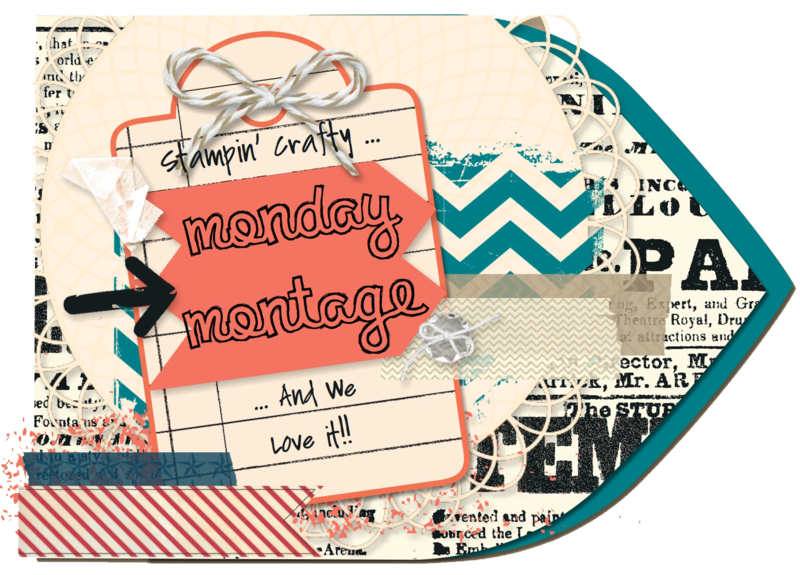 I hope you enjoyed today's project and found some inspiration! 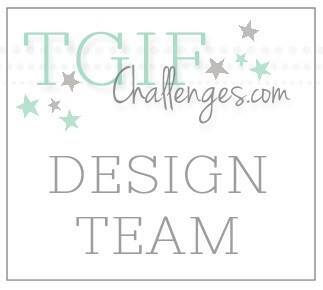 Be sure to click the next button below to see what fabulous projects everyone else has! What a fun, FUN gift!!! 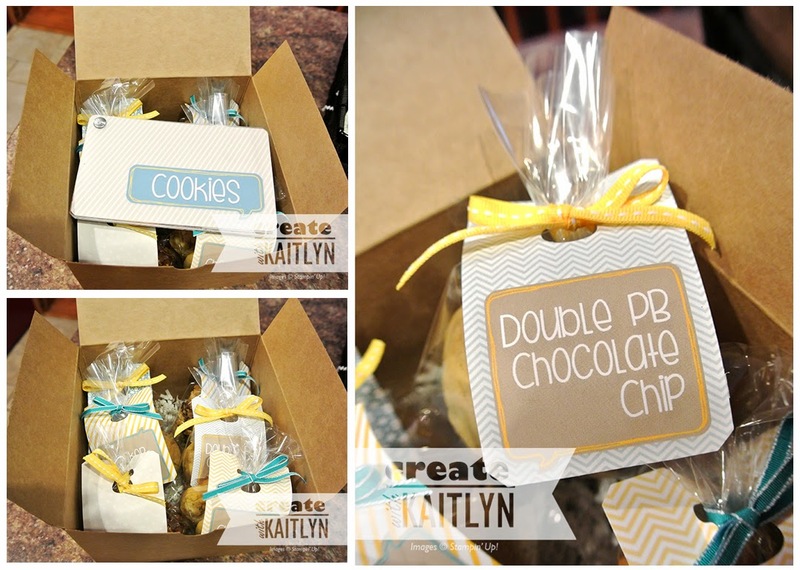 Love the recipe book idea..storing that one away for next year! 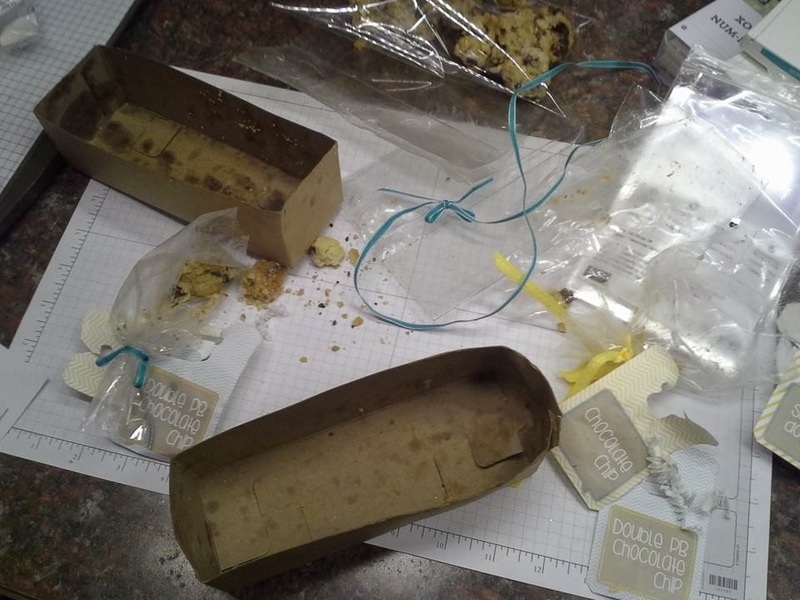 I'm betting those naughty little pups of yours loved the cookies! Ok. I need to Live closer to you. Everything is gorgeous. Amazing job! 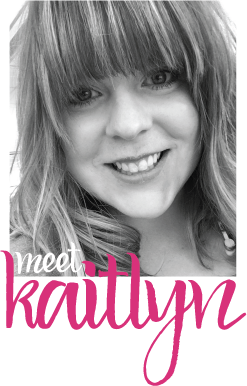 Kaitlyn, this is such a cool project and your gift is so beautifully done. A fabulous idea to file away for next year. I LVOE it!